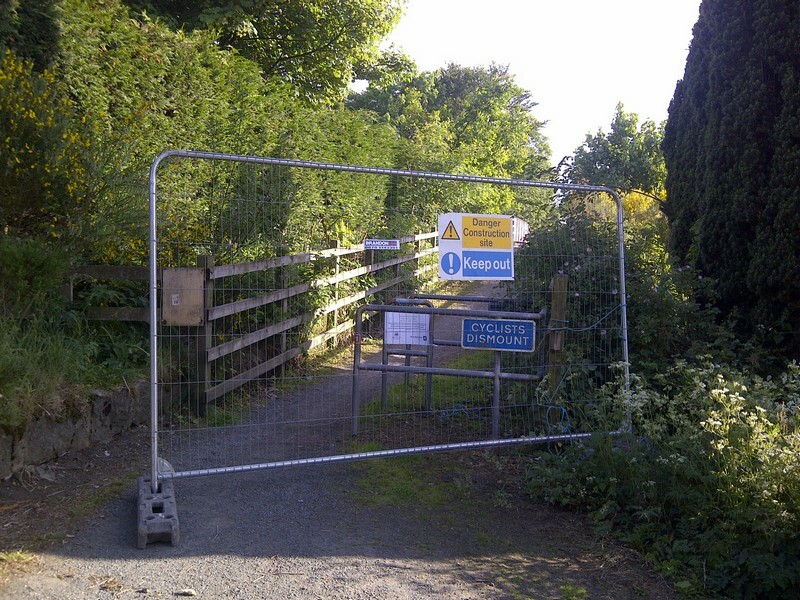 After a week away with work, I was back in the saddle for my normal ride down to the office in Aberdeen this morning and as I rode along enjoying the sound of birds singing, I noticed that the council(s) had posted notice of a closure on the Formartine & Buchan Way. 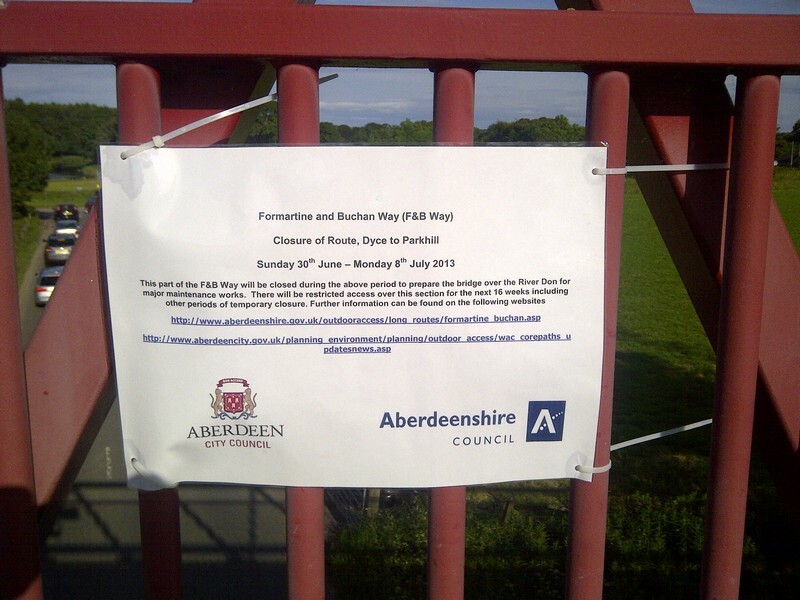 Being away I had missed the original announcement posted by Aberdeen City Council on 26th June 2013 (4 days prior to said closure), but that’s good compared to Aberdeenshire Council who only posted on their website on 1st July 2013, a day after it was meant to be closed! Now, this morning I hadn’t seen any of these releases and as there was no sign of any actual work taking place, no diversion signs and the whole route was open I rolled on down to the town. The F&B Way is very popular with walkers, runners, horse riders and cyclists – both commuter and leisure – and on these Summer evenings as I head home I’ll often see dozens of folk from Dyce enjoying the route. With the Tour de France kicking off at the weekend there is always a surge in the number of folks biking at this time of year too and the F & B Way offers a safe off road route linking Dyce with the greenery of the countryside beyond – and a world of adventure for budding young cycle explorers in their school holidays. That maintenance of the bridge is being carried out is good (I’d like to see the trains running again one day) but I’m concerned about the way the users of the route are being treated just now. So it wasn’t possible to leave a small path for walkers and cyclists on the bridge while work was going on? Its a railway bridge and its quite wide. 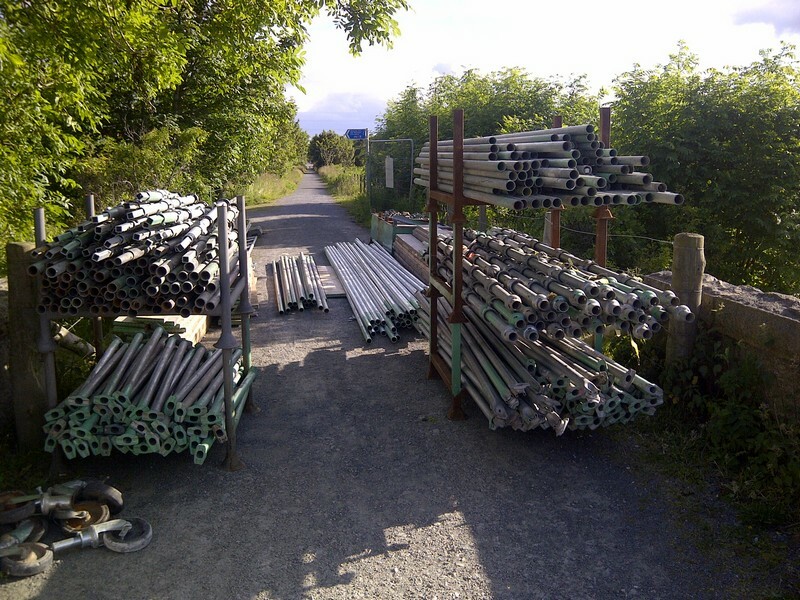 Scaffolding is regularly put on pavements without closing them off, so why does this need to be shut? Maybe just so that the contractors get a convenient place to store their kit? At the moment I don’t know but I will post photos of the site as the work progresses. Surely Aberdeen City Council’s official “Cycling Champion” Cllr Ross Thomson will have stood up for the interest of the cyclists of the granite city and argued their case and ensured that all was as good as it could be in terms of this closure? As of tonight there are no diversions posted, so anyone unfamiliar with the area may be left at a loss as to where to go. Lets go back to that press release “Consider their options“? What is that meant to mean? That’s putting it mildly – there can be miles of standing traffic on it in the mornings! Now I live near the A947 and I ride it for leisure (its fast riding) and utility (to get from A to B), but its not pleasant and while I’m not really too fazed by cars passing fast, I’m sure that many folk just won’t go out on it. Walkers – and they are mainly dog walkers – will surely just turn around and head home (The A947 lacks pavements or trimmed verges, so walking along it isn’t nice). Commuter Cyclists – some will no doubt give up (hopefully temporarily), most will take to the A947 and soldier on. Leisure Cyclists – Tourers will no doubt find a way, but family groups with children will surely give up and go home which is the saddest thing of all. So, if you are riding South (citybound) its a case of coming off the F&B Way at Parkhill and joining the A947 down to Dyce, no doubt passing lines of standing cars in the morning. Heading North, it looks like you might be able to ride up the F&B Way from DyceStation to the bridge near Ian Mair Park (Dyce Juniors FC) and then go down to Dyce Drive and back to the A947. You need to be extremely careful if you are going to rejoin the F&B Way at Parkhill as the lines of sight are terrible with the bend under the bridge and the traffic is heavy – bon chance! So, we have an initial week and a bit shut followed by other possible closures in the next 16 weeks – hopefully with a bit more warning. 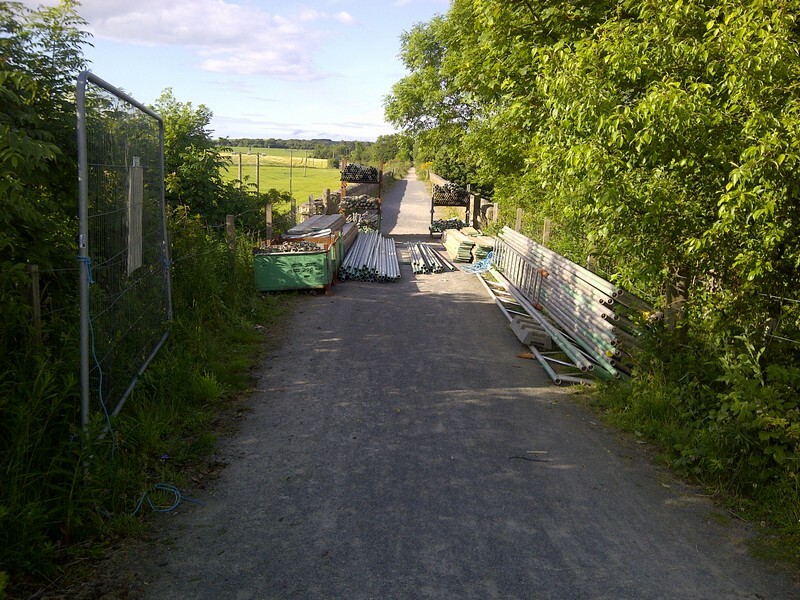 Image | This entry was posted in Aberdeen, Aberdeen, Aberdeen City Council, Aberdeenshire, Aberdeenshire, Aberdeenshire Council, cycling, Environment, Green, planning, Scotland, Transport. Bookmark the permalink.